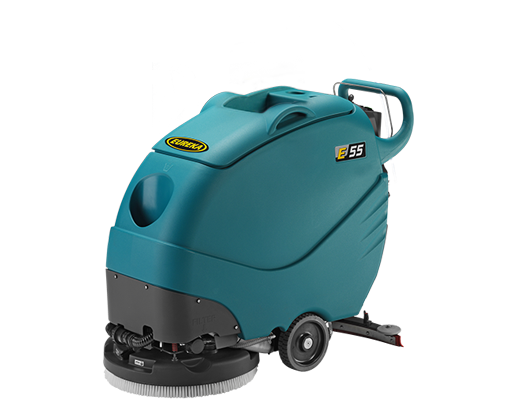 ECO, THE NEW RANGE OF SCRUBBER DRYERS BY EUREKA! 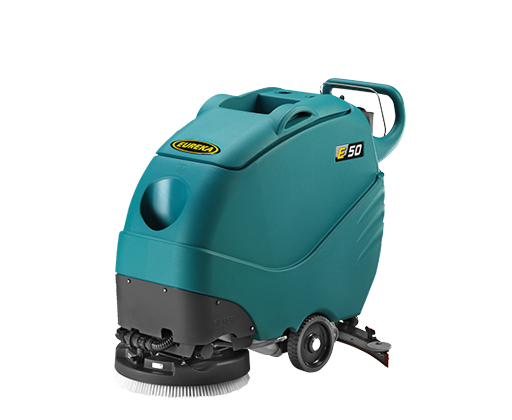 The range of Eureka's industrial floor scrubbers is made up of 15 models, available in 30 versions, ideal for the thorough cleaning and maintenance of small, medium and large areas. 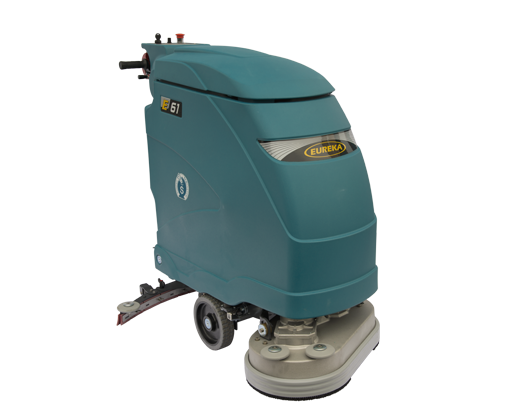 These floor scrubbing machines are available either walk behind or ride on, and upon request can be equipped with the new, patented ECOsystem®, an innovative technology that breaks water economy and detergent saving barriers, and has won several awards. 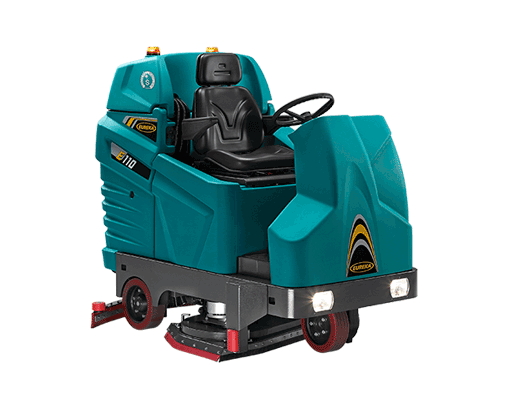 The system has been designed to guarantee impressive labour/water/detergent savings, and boasts a productivity rate three times greater than traditional scrubber dryers. The exclusive ECOsystem® has been created to maximise the detergent potential and therefore increase overall productivity. With a standard scrubber machine, after the first pass, about 60% of the solution is still active, and potentially reusable. 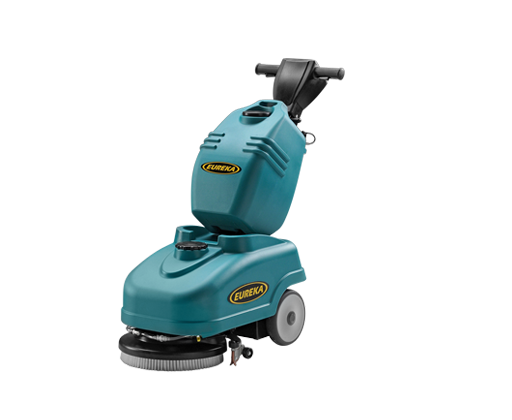 With ECOsystem®, our scrubber dryer machines efficiently recycle the solution, ensuring consistently perfect cleaning results, whilst reducing the environment impact of cleaning. 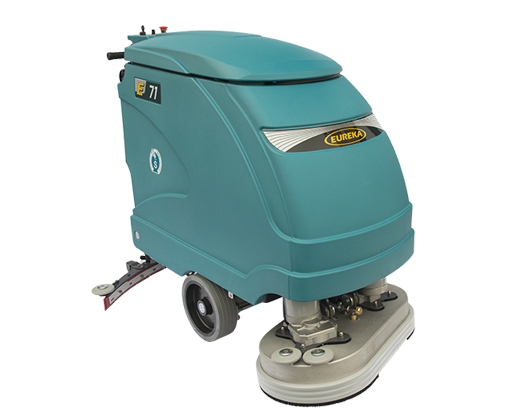 The Eureka E110-R, cylindrical scrubber dryer. 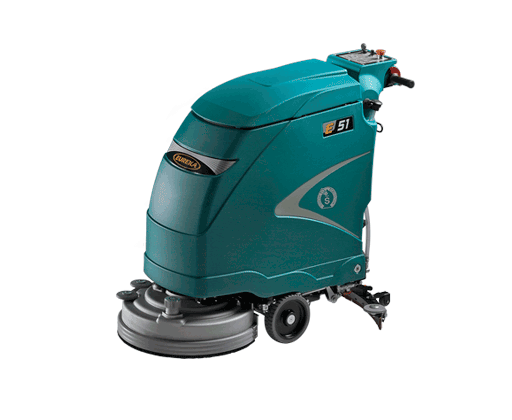 Sweeps and scrubs large areas in a single pass. 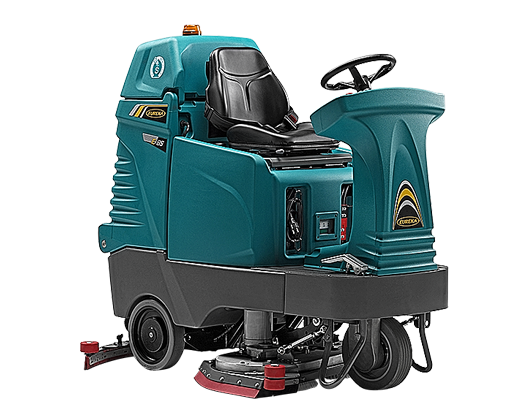 WHETHER YOU ARE LOOKING FOR A SWEEPER, A SCRUBBER, A TRAVELATOR&ESCALATOR CLEANER OR A COMBINED SWEEPER/SCRUBBER-DRYER, EUREKA HAS THE RIGHT MACHINE FOR YOU! 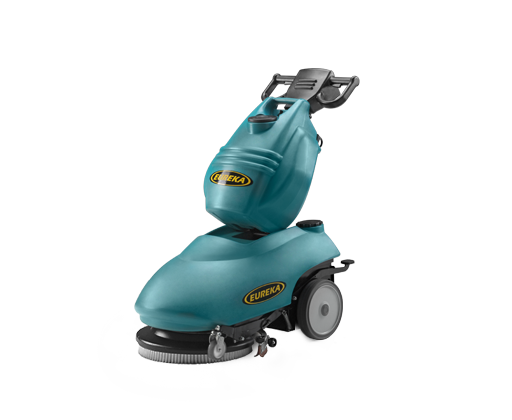 Please select one of the following options and you will be guided to the machine that suits your cleaning needs!